Our Thermal M13 alpha-hemihydrate flowing screeds are the most environmentally friendly screeding products on the market today. 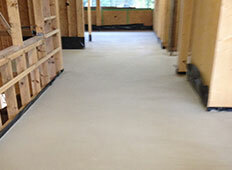 Our rapid drying Thermal M10 cementitious flowing screeds offer a high strength finish that’s able to be walked on after just six hours. We Could Save You Hundreds Of Pounds A Year! 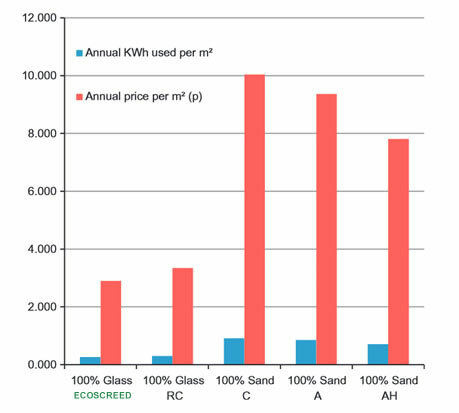 Using Ecoscreed could save you running costs on your underfloor heating system – a vital saving in these financially challenging times. 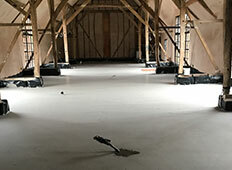 Our flowing liquid screeds have been tested by the University of Portsmouth and have proven to be the most eco-friendly floor screeds on the market today.